The most successful implementations of 30DTR have devoted considerable time and resources to training but this paid off. Some experts estimate that training and governance could represent as much as 80% of the resources needed for an effective temperature monitoring system based on 30DTR. A lot of material has now been developed and you can find examples in the related resources at the bottom of this page. Distributing the 30DTR devices without any training was clearly identified as a major bottleneck during early deployments. 30DTR devices are not complicated but their functionality is not intuitive for all. As a consequence there were either not even activated and used or not placed correctly in the refrigerators and health workers did not know how to read them, or at least not how to read the alarms and the information on previous days temperatures. On-site training (on-the-job training) during health facilities supervisory visits to provide supportive supervision. Training of trainers (or cascading training) can work but obviously the trained trainers should be absolutely clear about the manipulation of the devices. When possible women-to-women peer mentoring could be introduced. Ability to record the 30DTR readings in the temperature monitoring chart. On top of the skills above, supervisors/health managers need to be trained in their new routine procedures and checks, that should be recorded in a SOP. The EVM SOP manual provides templates for high level SOPs but these need to be completed by simpler documents for daily use. In order to build accountability, it must be made clear to health workers that these activities are part of the job description and that their performance will be assessed based on these criteria. This document issued by WHO/EVM provides models of Standard Operating Procedures to cover all aspects of Effective Vaccine Management. This sample Jobaid from from the ColdTrace pilot in Mozambique is a one-page poster on the routine maintenance of refrigerators and corrective measures in case of temperature excursions. Those one-pagers have been specially developed by PATH to allow in-country cold chain technicians to get at a glance a summary of key maintenance tasks across the various types of cold chain equipment they are handling. This document provides an example of a table/job aid with suggested actions for health workers in case of temperature alarms in refrigerators. 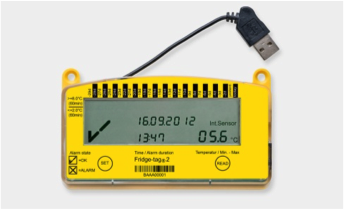 This WHO video shows how to set up the date and time and temperature scale, how to read temperature and how to download data from the Fridgetag to a computer. This WHO video in English shows how to set up the date and time and temperature scale and how to use the Log Tag Vaxtag.